Click here for audio of Episode 668. Today, technology helps a Siberian priest to understand a new people. The University of Houston's College of Engineering presents this series about the machines that make our civilization run, and the people whose ingenuity created them. The Russian Orthodox priest, Ivan Veniaminov, came out of Siberia in 1823. Veniaminov was born near Irkutsk, north of Mongolia. During his years in the Irkutsk seminary he also studied mechanics. He was not just a priest. He was also a skilled clock and instrument maker. Then Veniaminov heard that missionaries were needed among the Aleut natives on the south Alaska coast. So this intellectual, whose hands had learned right along with his head, set off for Unalaska. That's one of the Aleutian Islands. First he went to Sitka, the old Russian capital in North America. He spent a year there learning the Aleut language and the lay of the land. Then he shipped to Unalaska. He stayed ten years in that cold, remote place. He taught the Aleuts carpentry, brick-making, and stone masonry. Together, they built a church and a school. He created the first written Aleut language. He translated the Gospel and a catechism into Aleut. He kept the first Alaskan weather records. Veniaminov's success traced right back to his respect for the Aleuts. He called them devout, intelligent, and industrious. And so they were! 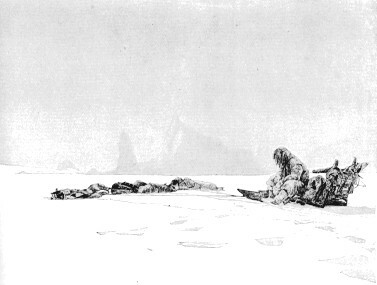 They'd already honed a complex survival technology on the very edge of the world. They'd also taken up the Russian game of chess, and they were beating the Russians at it. The padre [was a] powerful athletic man, about 45 . . . quite herculean, and very clever. I took a great liking to him. [I visited] his workshop, where I saw a good barrel organ, a barometer, and several items of his own manufacture. Later, Veniaminov repaired two barometers for the captain. For 27 years Veniaminov ranged up and down the coast, doing everything. He survived starvation and shipwreck. He sailed as far south as the Russian settlement in California. All the while, his huge capability fed his vision. He had the means for seeing how the work of a people's hands makes them what they are. He could see the Aleut people -- whole. Shenitz, H.A., Father Veniaminov, the Enlightener of Alaska. The American Slavic and East European Review , Vol. XVIII, 1959, pp. 75-80. See also Episode No. 669 for more about the baidarka. I'm grateful to Walter van Horn, Curator of Collections, and Diane Brenner, Archivist -- both at the Anchorage Museum of History and Art -- for their kind help. Walter van Horn suggested Veniaminov as the subject of an episode.